Rack power distribution units (PDUs) are important components in today’s data center technology. They help distribute electric power to servers, storage devices, and networking equipment located within racks or cabinets in a data center. More recently, “Intelligent” PDUs have entered the seen. However, it can be difficult to fully understand the differences between this new innovation and the basic PDU. 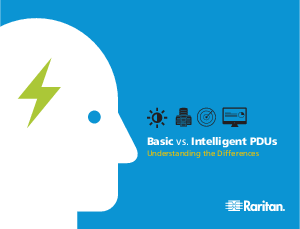 Download this white paper today to see what the key differences are, why choosing the right one matters, and major challenges data centers face in regards to PDUs.